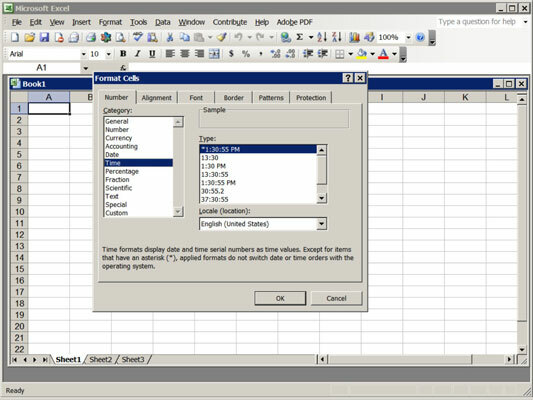 Spreadsheets like Excel are capable of displaying numbers, dates, and times in a nearly infinite number of ways. Your best bet is not to worry too much about how to format a number in NaturallySpeaking; just get the number into the spreadsheet in any old form, and then reformat it in the spreadsheet. To select an entire row or column in Excel, first move the cursor into the row or column. Then say, Press control spacebar to select the column, or Press shift spacebar to select the row. The Format Cells dialog box appears. 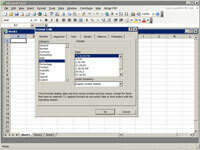 3Display the Number tab in the Format Cells dialog box. This tab may be on top when the box opens (or not!). Use the Press Right/Left Arrow commands to move from one tab to another. This hotkey moves the cursor into the Category List. 5Select Currency on the Category list. The Move Up/Down commands are the easiest way to select items on the list. The Format Cells dialog box disappears, and the column is formatted as dollars and cents.